Skateboarding has been in the United States for over 50 years, but in Ethiopia, it is a whole new concept. 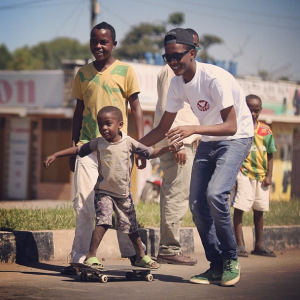 Ethiopia Skate is an organization that is bringing the youth of Ethiopia together. 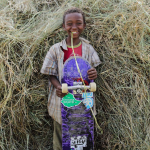 Ethiopia Skate was started by 16 year old Abenezer Temesgen who would practice and share his gear every weekend. Many of the Ethiopia’s youth have no direction, do not attend school, and work whatever job they can for a few dollars a day to get by. Skateboarding is giving them something to be a part of and express their individuality. 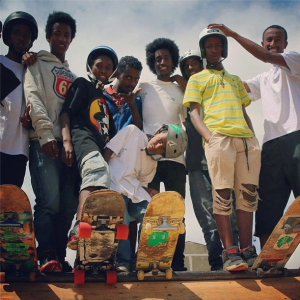 Abenezer has now taught over 25 kids how to skate, and the skateboard culture in Ethiopia is rapidly growing. 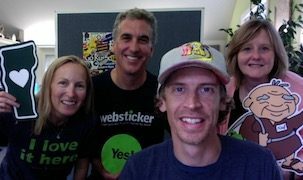 Ethiopia Skate had reached out to Websticker.com in 2013 with an application for our Sticking With You* program. 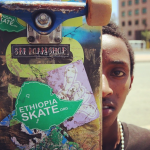 They had started a crowd funding campaign to build Ethiopia’s first skate park and wanted stickers not only to give as a gift for the donations but also to spread the word about their organization. They have been backed by recognizable skate companies such as ZooYork, Transworld Skate, and Famous Stars and Straps. Ethiopia Skate stickers can be found all over Ethiopia, as well as here in the United States. If you have an interest in skateboarding or helping youth find their way, I highly suggest that you check out this organization. 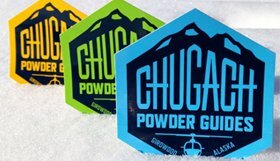 You can find them at www.ethiopiaskate.org as well as on Facebook, Instagram, and Twitter. 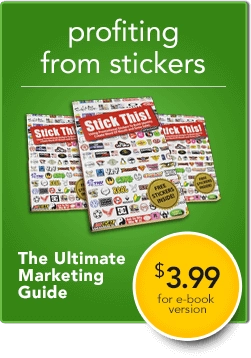 *The Sticking With You Program was started in 2008 by Websticker.com to help organizations raise awareness and funds for worthy causes. 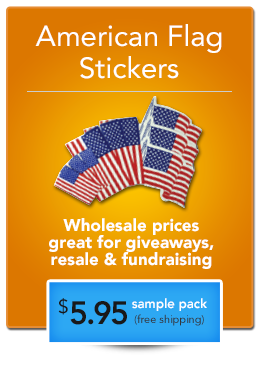 One organization per month was chosen to receive stickers, labels or magnets at absolutely no charge. 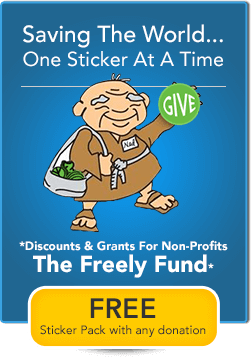 The program for non-profits and worthy charities has been expanded and improved in 2016 with the Freely Fund.